Blush is bashful but also a sweet neutral you will love adding to many outfits this year. 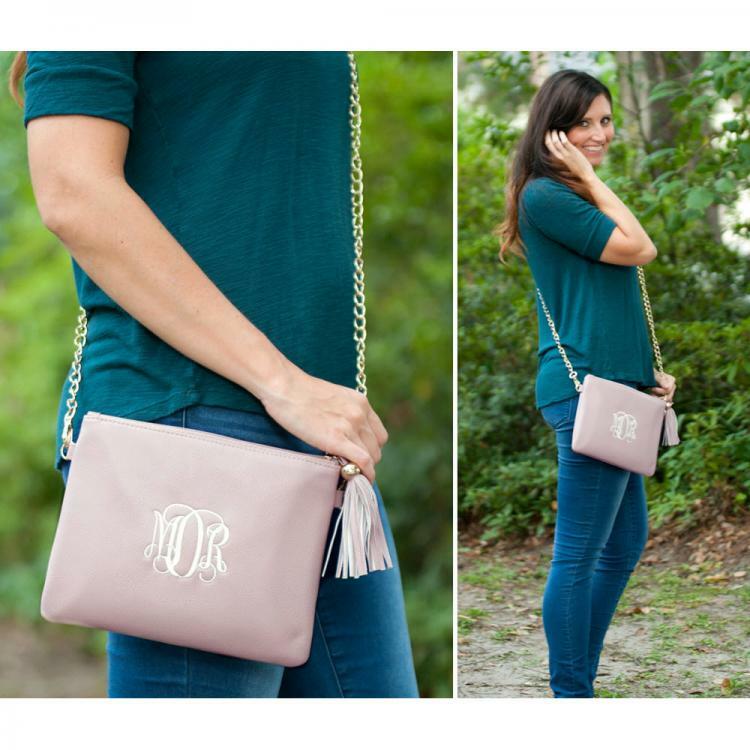 The sassy tassel and stylish chain strap make this bag as fun as it is cute. Easily detach the chain strap to create a handy zip pouch or stylish clutch. Fits perfectly in your tote and many purses to make keeping up with a busy life a breeze. 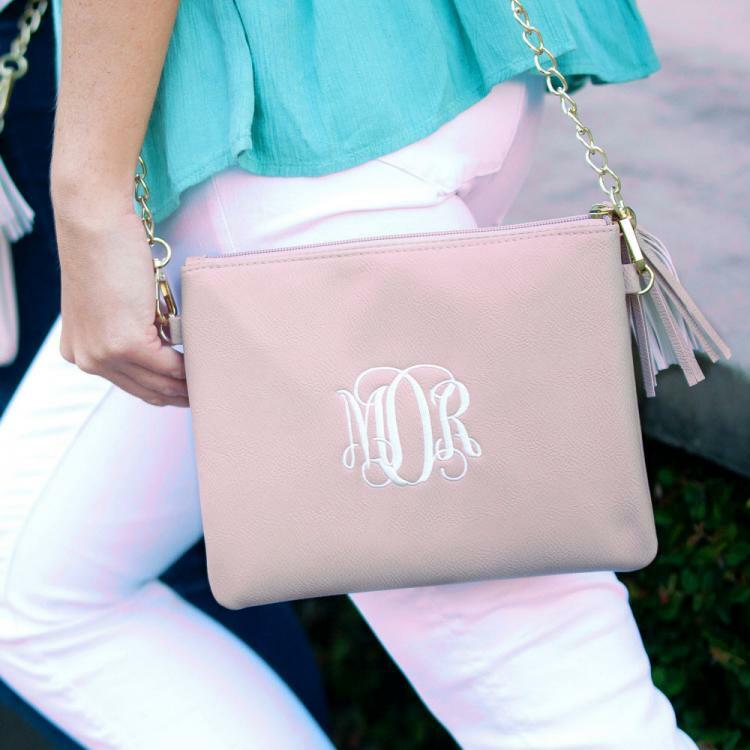 Add your monogram in a color that pops or one that goes with everything to make it uniquely yours. 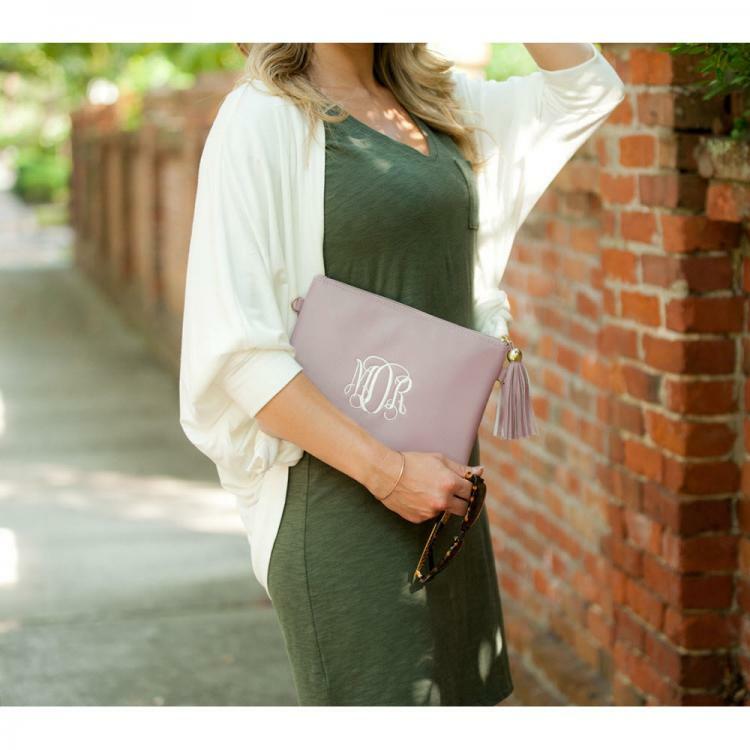 The main image on this page features a monogram in the Vine font done in White thread. If you love being coordinated, stylish, and making a great impression this line is for you. Our well-appointed and fashionable Vegan Leather Collection delivers beautiful, easy-care, durable pieces that are animal-friendly and eco-conscious as well; giving you the best of everything. We have suggested some of our favorite coordinating pieces to help you find the ones that suit your life the best.